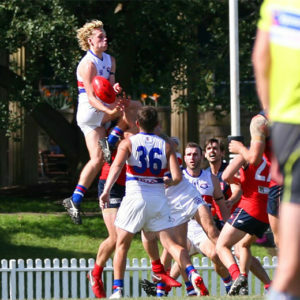 East Coast Eagles vs. UTS AFC Bats – Kanebridge Oval on Saturday, April 6, 2019. 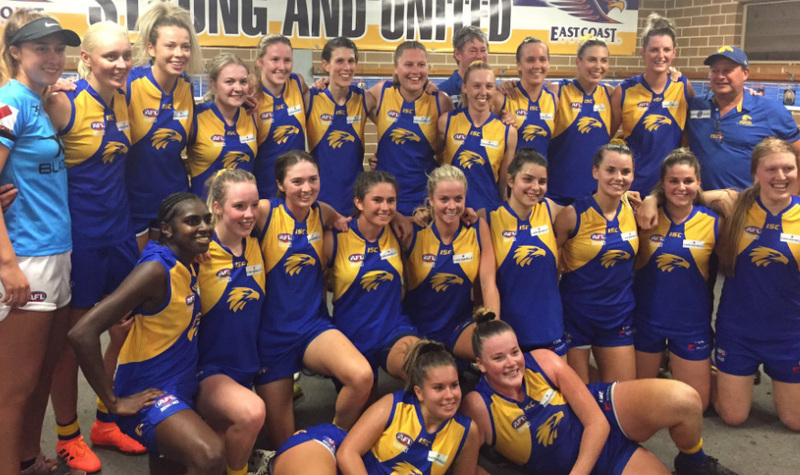 The East Coast Eagles entered the Women’s Premier Division with a resounding bang on Saturday, defeating the UTS AFC Bats in a clinical display in their first match in a new division. It was all the Eagles from the get-go at Kanebridge Oval with ruck, Courtney Torpy flattening her UTS counterpart, Kelsey Wright from the opening bounce. From there, it would take Eagle, Elizabeth Wilson less than one-minute to soccer through their opening goal of the season. In her first game for the Bats, Leanne Behan managed to score her side’s only goal in the opening quarter, but it hardly affected the unstoppable Eagles outfit as they charged on in an unforgiving manner. The Eagles kept the Bats scoreless for the remaining three quarters, while managing to kick another 11 goals of their own, contributing to their game total of 15. With a massive 31 shots on goal, the Eagles could have hurt the Bats even more so, missing the centre of the sticks 16 times across the match – a feature of their game they will be looking to improve on in Round 2. Emily Goodsir, the 2018 James Medal winner, once again proved how unstoppable she is at her home ground, scoring two goals for the Eagles in a best on ground performance. Both Elizabeth Wilson and former Wollongong Saint, Rylee McGartland scored three goals each, while Goodsir, Shannon Smit, Chloe Arndt, Breanna Donnellan and Jordan Roughan all contributed to their team’s score. 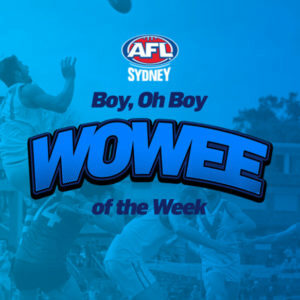 AFL Women’s GWS GIANTS player and new Eagles recruit, Delma Gisu also played her role for her new AFL Sydney side, slotting two goals in her debut in the yellow and blue. Ally Dallaway and Captain, Sarah Ford were also key in the Eagles’ first victory for the season. Claudia Gunjaca and Kelsie Wright both played well in their first game as Bats, despite their comprehensive loss away from Waverley.